Take yourself back to 2011 for a moment and answer me this – remember PenTile displays? If you do, I’m sure you already have a headache just thinking about the years upon years of companies like Motorola using the technology in their phones, likely in an attempt to cut costs while upping resolution. From jagged lines and blurred scrolling with ghosting to greens showing as browns and web pages not even being able to render text properly, it was hard out here for a phone with a PenTile panel, especially the original Atrix, DROID X2, Bionic, RAZR, Galaxy Nexus, and Galaxy S3. Just look at that image at the top of this post. 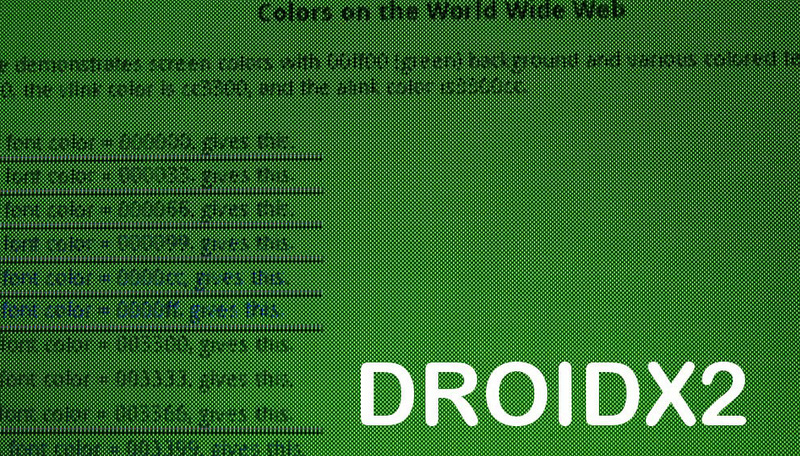 And no, we aren’t talking about the low pixel count – we are talking about the lack of fully straight lines, the hatching, and the Android green that is a light brown. Or better yet, look at this image below, where the X2 can’t display text properly because it’s RGBW pixels have no idea what the hell they are doing. 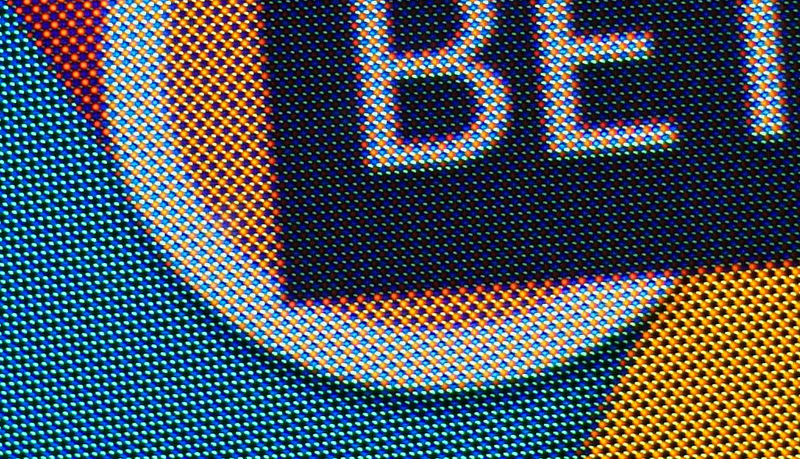 Of course, as display technology has improved and resolutions have skyrocketed to the Quad HD realm, odd pixel arrangements (like Samsung’s diamond pixels) have become less of an issue. But man, for a while there, we were often praying for LCD displays in phones because all of the early AMOLED panels used a PenTile Matrix and were trash. 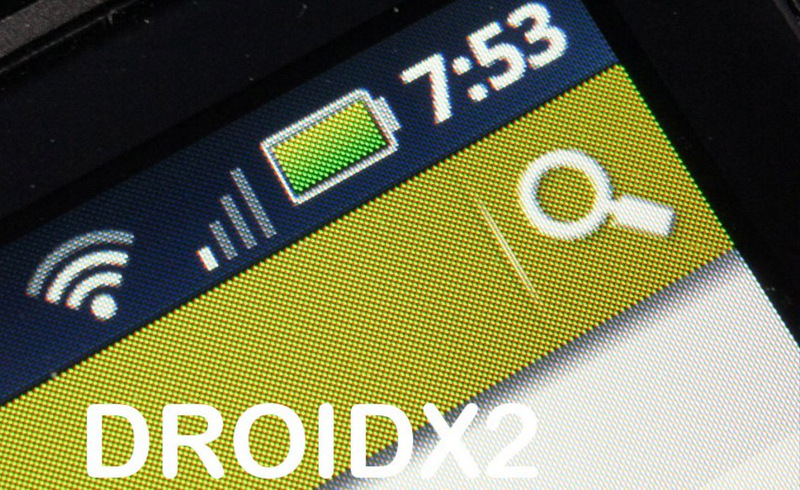 Here is a comparison shot we took of (in order) the Galaxy Nexus, HTC Rezound, and DROID RAZR. The only LCD panel is the Rezound, if that wasn’t obvious. 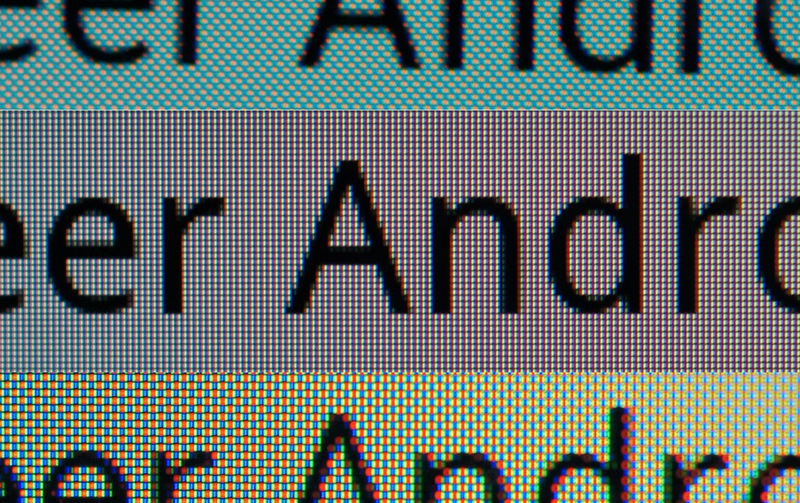 As a reminder, the G-Nex and Rezound were two of the first HD (720p) displays and so the Nexus display wasn’t necessarily the worst because of the pixel count, even with its PenTile arrangement. However, I don’t think anyone can go back to that time and claim that it was one of the best either. But again, our world has improved and now AMOLED panels have become the best on the planet, at least according to display testing experts. We also tend to favor AMOLED panels over LCDs, as LCDs in some of the best flagships in recent years haven’t matched up well (like the G5). Here is that diamond arrangement from Samsung that I referenced, seen here on a Galaxy S7. Yes, Samsung is still using this weird setup, yet their displays keep topping each other for best in the business. I’m sure there is some other technology at play here, but at one time, all we could complain about was pixel arrangement. Anyone want to take it back to 2011? No?